During my search on Pinterest for the perfect Father’s Day crafts to make for my husband, I found the cutest idea for a way to let him know how much I love and appreciate him every day of the year. Originally posted over at A Heart for Home, this idea takes a simple picture frame and turns it into a place for me to leave messages to my husband every day. You use a dry erase or chalk marker (affiliate link) to write directly on the glass…and when you want to change the message, simply wipe it off and write another one! I started with a simple frame from the dollar store. I didn’t really like any of the frames that they had to offer, so I decided to paint this one white, which would coordinate better with the paint in our house. 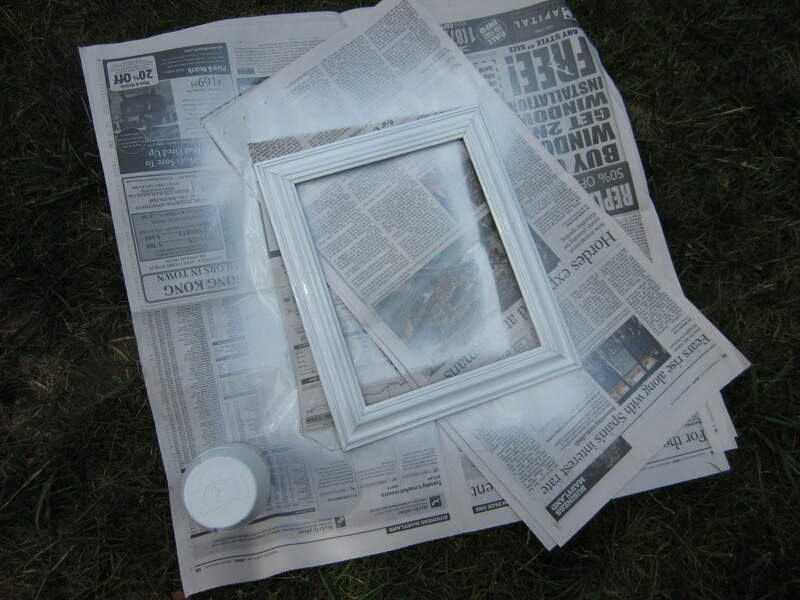 I used some white spray paint, which I had left over from another project, and it worked fine. Being that the frame was plastic, the paint didn’t want to adhere very well. At first, I was annoyed, then I decided that I actually liked it…it gave the frame a sort of antique, weathered look. Next, I raided my scrapbooking drawers for some leftover paper that would coordinate well with the frame. 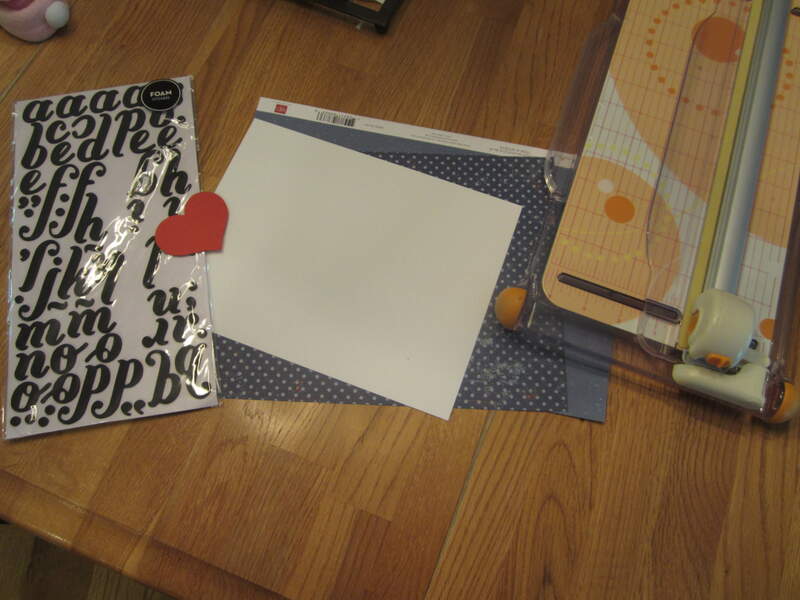 I found some pretty blue paper with dots, plus some letter stickers that I could use to spell out my message. I cut out a heart from red paper using my Cricut…if you have a heart-shaped punch, that would work fine too. 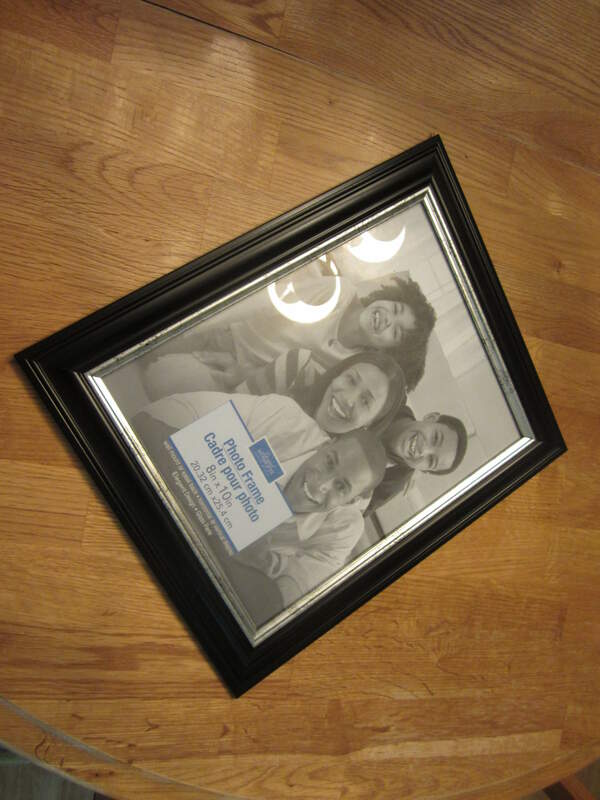 I trimmed the dot paper to fit the picture frame (8 X 10), then trimmed the white paper to 7 X 9 to leave a dot border. I just eye-balled the letters, although you could certainly draw a faint pencil line on your paper with a ruler and line the letters up that way, making sure to erase the pencil when you are done. 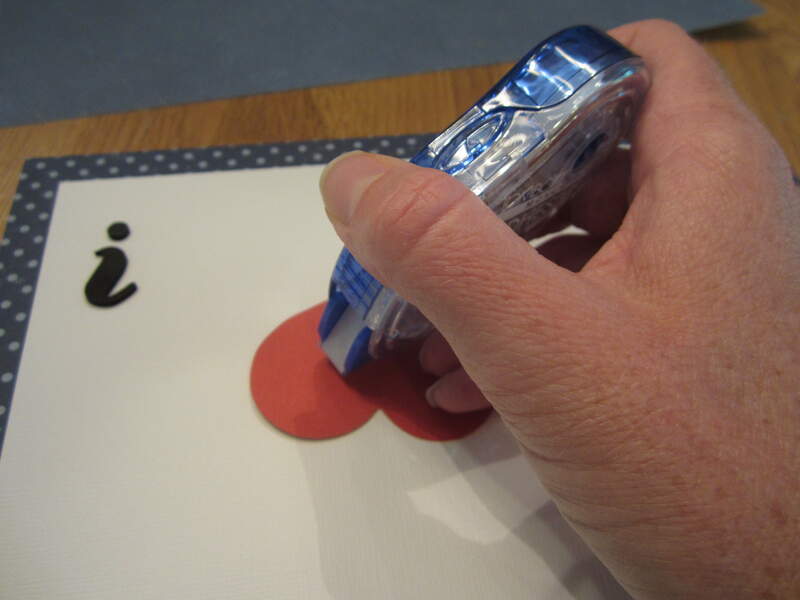 I adhered the paper with my trusty dot roller adhesive (affiliate link)…easy to use and gives a clean look. 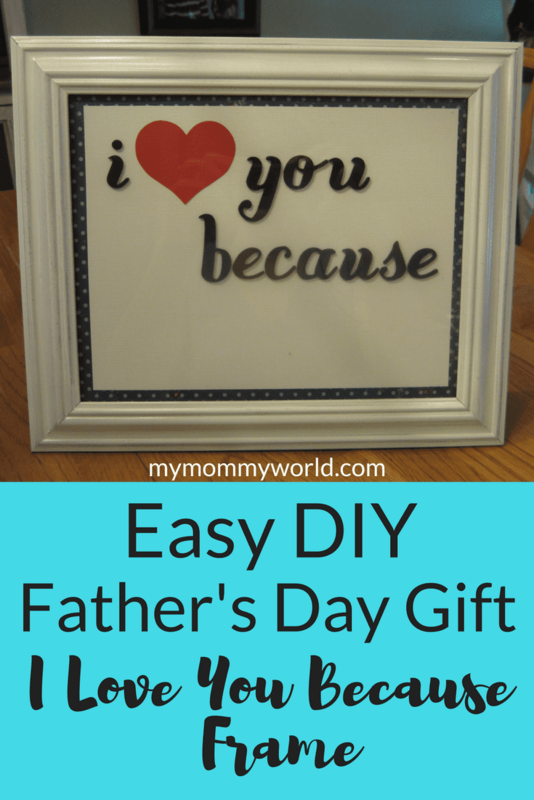 I’m planning to write “(I love you because) You gave me two wonderful babies…Happy Father’s Day!” for Sunday morning and displaying it at his seat at the kitchen table on Sunday morning, along with the Father’s Day Bouquet. I can’t to see his face when he sees it! 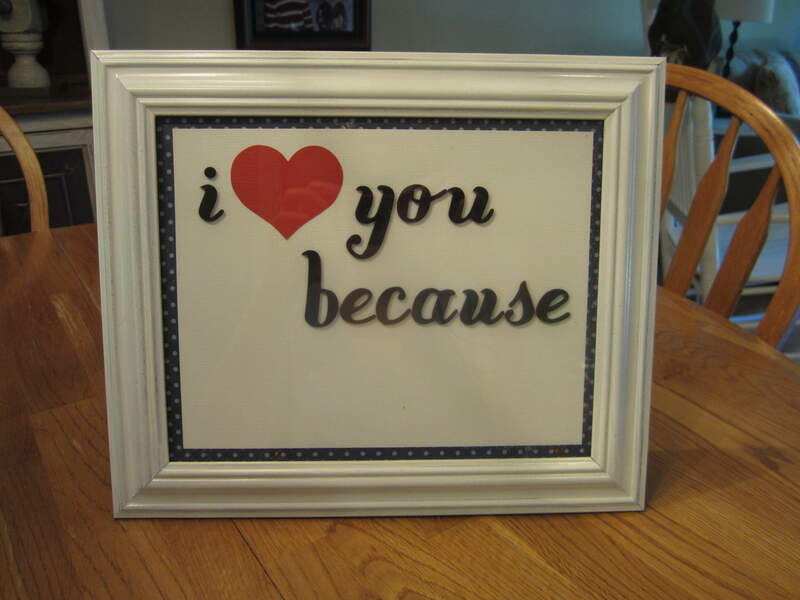 What would you write on your I Love You Because frame? Cute! Sweet! I saw a similar project on Pinterest (of course I never made it:), but I love how you TOTALLY made it your own and for your husband. That’s really thoughtful! I think the white looks great. And so…can I pin it and brag about it? 🙂 Hope you have a wonderful weekend with your family!